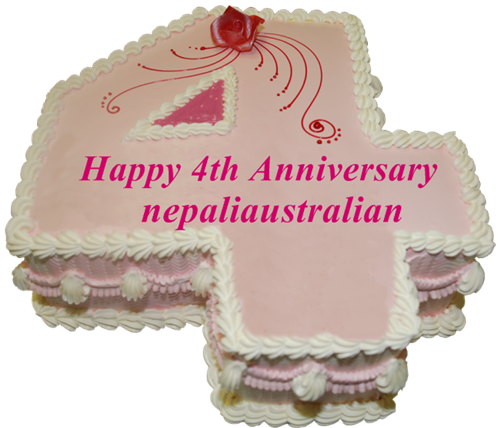 This entry was posted in Celebrations and tagged accepting guest posts, anniversary, become a guest blogger, blog anniversary, blogging, Cake, chhori, encouraging words, Father's Day, fourth anniversary, guest blogging, guest post, how do i get started with the guest post?, incredible journey, M from nepaliaustralian, nepali australian, Nepaliaustralian, nepaliaustralian turns one, personal journey, Thank you, writing. Bookmark the permalink. yayyy for your 4th birthday. im so glad i stumbled upon your blog because of this crazy thing called internet! Happy Anniversary D. You are doing great job. Your post are so useful and informative. All the best for coming days.